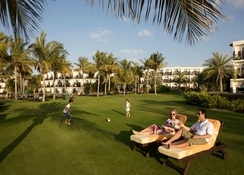 Located on the Dubai beachfront, Ja Palm Tree Court is part of the JA Jebel Ali Golf Resort. 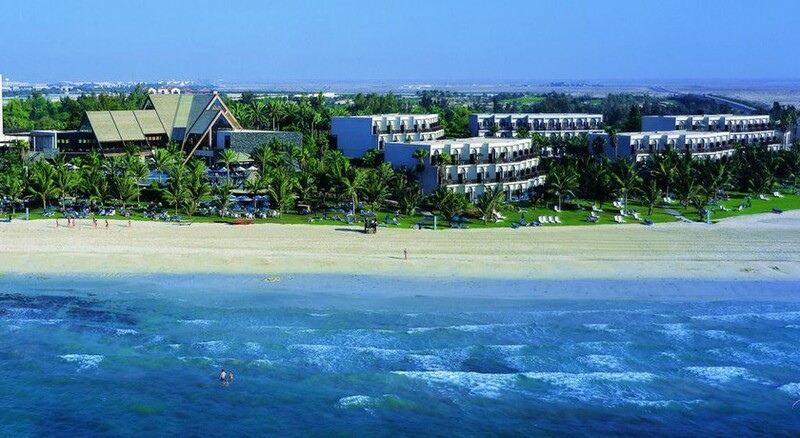 A glamorous, yet family-friendly resort set on a beach, JA Palm Tree Court sports four pools and several restaurants. Its adults-only pool makes it perfect for couple wanting to get away as well. It has a convenient lawn by the beach and a lush garden, where you can sit leisurely by a stream, gaze at waterfalls as peacocks roam freely. The interiors are contemporary, with high ceilings and large windows that let in the view outside. Stroll on the palm-lined beach or enjoy some watersports. 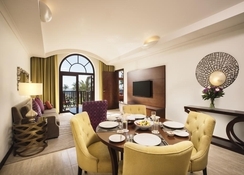 The resort is well placed, within driving range of Legoland Dubai, Bollywood Parks and Motiongate. You can also sail along the Dubai Creek with your partner, aboard the luxurious glass-fronted Bateaux Dubai, while enjoying a gourmet dinner, as part of your deal if you book right.the resort houses four tennis courts, a gym where you can get a game of squash, badminton and table tennis, besides a dive centre. You can also be part of seaplane tours and fishing trips that take off from the marina. You could also tee off at the nine-hole golf course or spend the day at the spa. 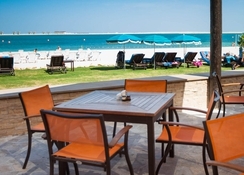 Ja Palm Tree Court sits on the beachfront, on the same grounds as the older JA Jebel Ali Beach Hotel. It’s within 20 km of Motiongate Dubai, Bollywood Parks Dubai, and Legoland Dubai. It’s located 55.6 km from the Dubai International airport, while Ibn Battuta Mall and Dubai Expo 2020 are about 25 km away. The resort houses 208 suites, all of which come with cosy fireplaces and deep soaking tubs, spread across three floors and 10 towers. The sea-facing rooms have floor-to-ceiling doors that open out to a balcony or terrace. For more luxury, check out the exclusive 14-suite Residence complex. There are nine restaurants, including White Orchid for Chinese, Japanese, Sushi, Thai, Asian fare, besides Divas for seafood, Ibn Majed for Mediterranean and international buffet meals, La Traviata, the Italian diner that overlooks the garden and Shooters for Mexican fare and barbecues. Do check out Anchor Bar, Captain's Bar and Sport Café for a la carte menu comprising pizzas and international treats plus cocktails and other drinks. Spend the day relaxing at JA Palm Tree Court's private sand beach, practicing your swing on the nine-hole golf course, or pampering yourself at the full-service spa. 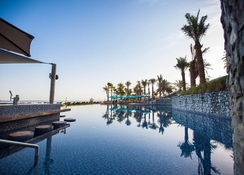 Guests can also use the facilities of JA Jebel Ali Golf Resort, of which it is a part. There are three pools (plus two next door), besides four tennis courts, a gym and games court, besides a watersports and dive centre. Try out the spa, which features therapists skilled in a variety of massages, including reflexology. Kids can spend time at the waterpark or swim in their own pool. You can also join a fishing trip with the family.